Purchasing a new bike can be an intimidating process if you've never bought a bike before. To help potential buyers find an appropriate bike, Bicycling magazine's Loren Mooney offered us her advice on where get started. As editor-in-chief of Bicycling magazine, Mooney advises less-experienced riders to hit the local shops and get the right size bike for their needs. Experienced riders, however, can look for savings online. "If you know your size fairly precisely and have a clear idea of what you want, there are plenty of reputable sources online." Mooney also suggests steering clear of those too-good-to-be-true sales. "The (auction sites) offer a lot of stolen bikes, or just bikes that have been really used a lot," says Mooney. Otherwise, she says the web can be helpful regardless of whether you're looking for a bike worthy of the Tour de France or one for getting across town. "There is a wealth of information on the bicycle manufacturer's websites, and these include information on the model line so you can see what parts and accessories these have. These will also include the suggested retail price." Of course not all bikes are created equal. The biggest factor to consider is whether you want your bike for long rides with hard climbs or whether you're looking for a commuter bike that can replace your car. Also, will you be sticking to the pavement or hitting the dirt? The following bikes provide a mix of all styles at various budgets. Inspired by the sturdy and reliable bikes found in the Netherlands — a nation where nearly 12 million of the 15 million people ride bikes — the Amsterdam Sport 3 features 21st century technology, including frame geometry that features a slightly forward pedal position. This provides better stability when you ride, while also offering a bit more torque. Coupled with a Shimano Nexus internal 3-speed gear system, that means you can get where you're going without breaking a sweat. Specialized Bicycle makes a full line of bikes, but even its value-priced models are hardly low-end. If you're looking to get serious on the trails, without spending serious coin, consider the Hardrock, a fully-butted aluminum-frame model with mechanical disc brakes and SR Suntour front shocks. This makes for a lightweight bike that can stand up to heavy-duty riding. Too often when it comes to quality bikes women riders have had to opt for smaller-sized men's bikes, but the Novara Carema is designed from the ground up to provide a more specific fit for female cyclists. 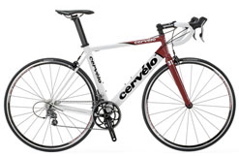 It features a robust aluminum frame with carbon fiber seat stays and an EVO carbon fiber fork to soften the ride. This aluminum-frame road bike features an airfoil design to cut down on wind resistance. Available with a range of components, including the Shimano Ultegra SL STI shifters, which are built into the brake levers, this bike is ideal for racing or long, weekend getaway rides. 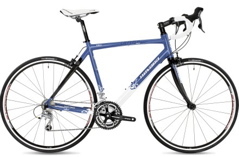 With its $4,300 price tag, the Litespeed Obed is for serious riders only. 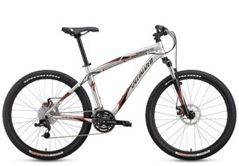 This titanium mountain bike features a frame that can absorb bumps off the road, and also offers excellent handling in the most technical of courses. With the Shimano XT components and Fox 120RL front shock and XT disc brakes, this is the ultimate off-road racing machine. 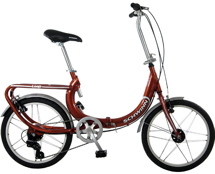 Despite its two 20" wheels, the Schwinn Loop Folding Bike collapses on to itself thanks to its U-shaped folding frame. The bike's aluminum frame and steel fork provide a stable ride while the 7-speed gears let you tackle even moderate hills with ease. Still hesitant about spending so much money on a bike? Mooney offers one bit of parting advice for all bike riders — "buy for the cyclist you want to be, not the cyclist you are right now."